Here is the link to the documentation. 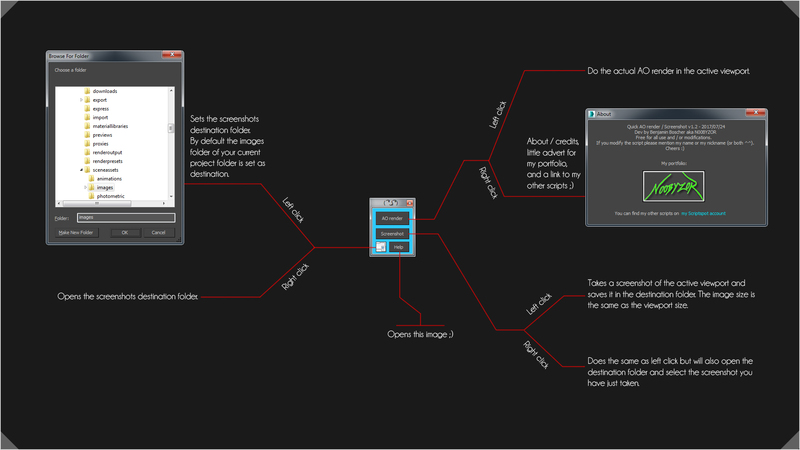 This script allows you to get an AO render of your scene and take screenshots very quickly. - Added the screenshot feature. - Fixed the .mzp file, now it works, sorry about that. Tested on 3DSMax 2015 & 2016.